Just when it seemed that the ongoing Colin Kapernick story couldn’t get any stranger, it took a more bizarre turn last week in Baltimore. First it seemed that the Ravens were going to be the team the finally broke the embargo against signing him. The Ravens’ head coach John Harbaugh had said some positive things about Kaepernick, and also indicated that he’d had conversations with him throughout the summer. 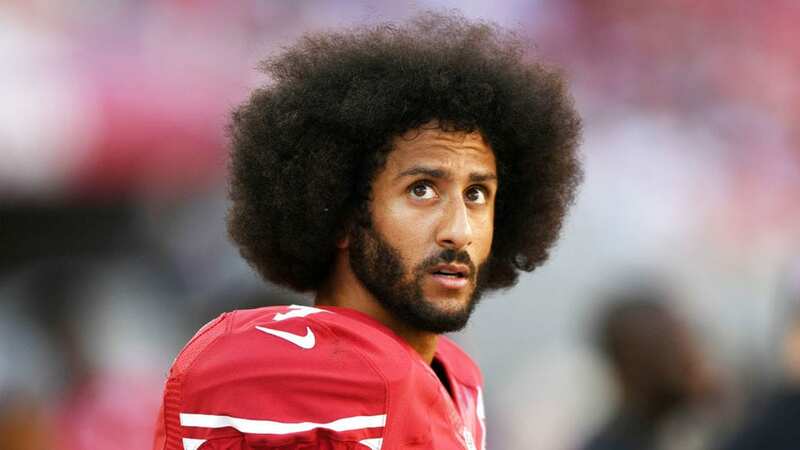 He added that he’d gotten good reports from his brother Jim, who coached Kaepernick in San Francisco, and that he thought it might be a good thing, especially in light of the fact that their starter Joe Flacco has hurt his back and won’t be available for a minimum of three-to-six weeks. But then the Ravens signed Arena League quarterback David Olson on Friday. Olson worked out for the team Thursday, and immediately was signed and promoted to the role of starter despite not having any NFL experience. Backup Ryan Mallett has already had one disastrous outing at the start of training camp, and the other QB on the roster, Dustin Caughan, is both unproven and inexperienced. Olson played for Jim Harbaugh at Stanford for one season, before transferring to Clemson. But last season he was playing for the KC Phantoms of the Champions Indoor Football (CIF) League. This is how ridiculous this thing has gotten. Apparently Bisciotti has forgotten Kaepernick had 16 touchdowns against only four interceptions last season while playing for arguably the worse team in the NFL, the San Fransico 49ers. Adding even more insanity to the situation was another report by Zrebiec that Bisciotti was consulting with former Ravens great and current FS1 commentator Ray Lewis on the wisdom of signing Kaepernick. This is the same Lewis who said on air that Kaepernick had to decide whether he was a football player or an activist, a comment of such stupidity it doesn’t even bear repeating except now Lewis is apparently part of the decision making process on whether Kaepernick can get an NFL job in 2017. What all this madness has really been about from day one is the fact that a lot of NFL owners, including Bisciotti, were upset Kaepernick dared to exercise his constitutional rights last season and took a knee during the national anthem to protest both police misconduct and the general conditions of injustice that plague Blacks in America. So now owners are keeping him from even getting a chance to be on a team, taking advantage of the fact Kaepernick chose to opt out of his contract. Other than one visit to Seattle, there have been no opportunities offered this season to Kaepernick to even be a backup, let alone a starter. Whether this latest Baltimore thing turns out to be real or not, it is blatantly obvious that this entire situation has always been a reaction to his political views rather than about problems with his athletic ability.